Paul Dry Books, 9781589881297, 275pp. Duncan Wheeler is a successful architect who savors the quotidian pleasures in life until a car accident leaves him severely paralyzed and haunted by the death of his young assistant. Now, Duncan isn't sure what there is left to live for, when every day has become "a broken series of unsuccessful gestures." Duncan and his wife, Laura, find themselves in conflict as Duncan's will to live falters. Laura grows desperate to help him. 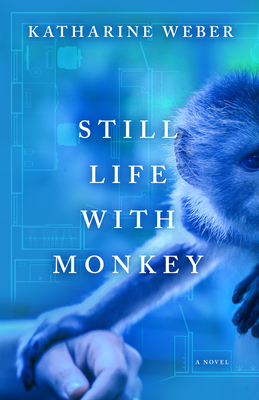 An art conservator who has her own relationship to the repair of broken things, Laura brings home a highly trained helper monkey--a tufted capuchin named Ottoline--to assist Duncan with basic tasks. Duncan and Laura fall for this sweet, comical, Nutella-gobbling little creature, and Duncan's life appears to become more tolerable, fuller, and funnier. Yet the question persists: Is it enough? Katharine Weber is the author of five acclaimed novels--True Confections, Triangle, The Little Women, The Music Lesson, and Objects in Mirror Are Closer Than They Appear--and a memoir, The Memory Of All That: George Gershwin, Kay Swift, and My Family's Legacy of Infidelities. Objects in Mirror, The Music Lesson, and The Little Women were all named Notable Books by The New York Times Book Review; two of her novels were long-listed for the International IMPAC Dublin Literary Award, and The Music Lesson has been published in twelve languages. Katharine holds the Thomas Chair in creative writing at Kenyon College.